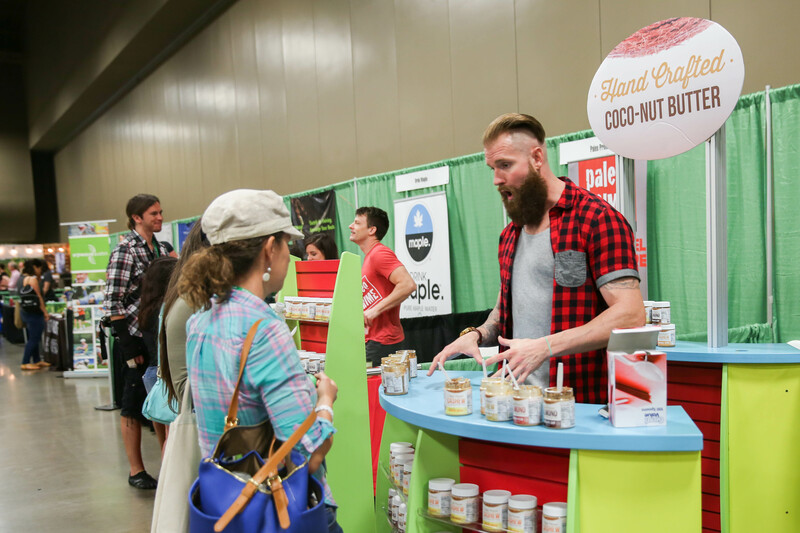 I had a blast at Paleo f(x) 2015, held this year in Austin at the Palmer Events Center April 24-26. This was my third year attending the conference, and every year the conference keeps getting bigger and better. I was excited to see what new events and talks they would be offering the attendees. This year, the conference actually tripled in size from the previous year, and took up the entire building. There were tons of who’s who in the Paleo/Primal world. 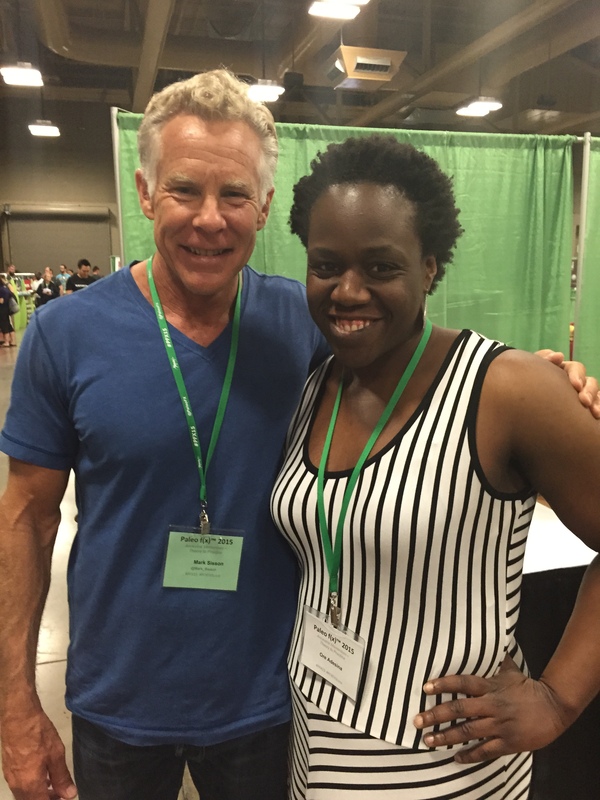 Big names attending the conference included Mark Sisson, Robb Wolf, Nora Gedgaudas, Kris Kresser and Diane Sanfilippo. 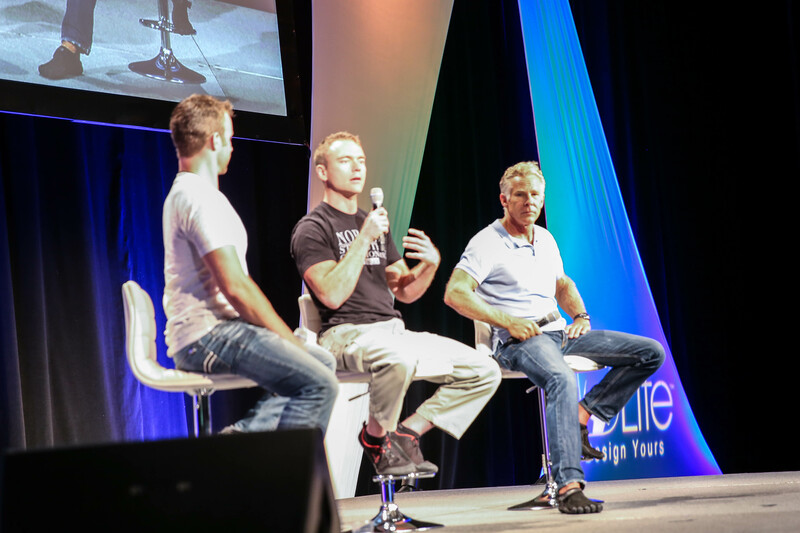 I was able to attend a panel with Abel James, Mark Sisson and Robb Wolf, and they talked about some of the things we’ve gotten wrong and some of the things we’ve gotten right within the Paleo/Primal/clean eating movement over the past several years. It was refreshing to hear them talk candidly about their thoughts and experiences, and hearing how these Paleo/Primal leaders believe this lifestyle will progress over the next several years. 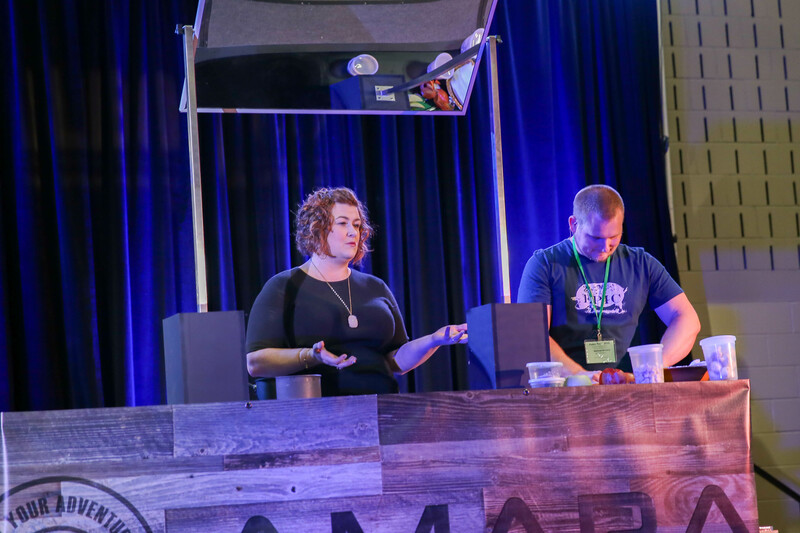 In additions to panel discussions, there were also several cooking demonstrations. I watched a bone broth soup demonstration with Stacy Toth and Matthew McCarry, the blogging power couple behind Paleo Parents. I follow Stacy’s instagram feed, and she regularly posts about the bone broth soup her husband makes her for breakfast. It was fun and eye opening to hear the behind scenes of how the soup is made, along with tips and advice more making great broth. There were several vendors at the conference offering products I hadn’t tried yet. I feel in love with the almond flour tortillas from Must B Nutty, but by the time I swung by their booth on Sunday, they had completely sold out of their tortillas! Thankfully you can order them online, but I was disappointed they didn’t have any more available at the conference. I also purchased several flavors of almond coconut butter from Yo Fresh Naturals. These coconut/nut butters are out of this world delicious, and I can’t wait to try them with fruit or on pancakes or waffles (I purchased the Chocolate Chip Banana Bread Cashew/Coconut Butter and the White Chocolate Cashew/Coconut Butter). 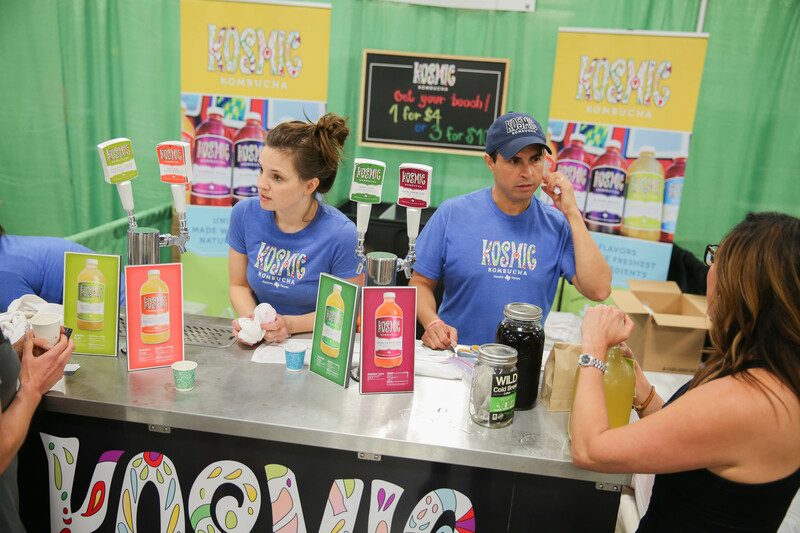 One of my favorite Kombucha makers, Kosmic Kombucha, also had a vendor booth at Paleo f(x). They are a company based out of Austin, and unfortunately their Kombucha hasn’t reached the Oklahoma market quite yet (crossing my fingers it happens soon!). For those of you who don’t know what Kombucha is, it’s a fermented tea drink with a variety of health benefits. It’s got a sweet and tangy taste, which flavor and sweetness varies greatly depending on the brand. Many brands of Kombucha have a somewhat sour and unpleasant aftertaste. While I may not care about swilling a bottle of medicine with an unpleasant taste, since store bought Kombucha isn’t exactly cheap, I want to enjoy the flavor of my drink while reaping the health benefits. Thankfully, Kosmic Kombucha does not disappoint! I purchased several bottles from the vendor at the conference, and also swung by multiple Whole Foods stores in Austin several times for a quick Kosmic Kombucha fix. On the last day of the conference, I managed to snag a huge bottle of Kombucha, floating away from the conference on a Kosmic Kombucha high! While waiting to register for the first day of Paleo f(x) 2015, I meet Jess Millsap, the blogger behind Crunchy Hot Mama. We introduced ourselves, struck up a conversation while waiting in line, and ended up hanging out several times throughout the weekend. She was great to hang out with, with a relaxed and easy going personality, and I think she was (and is) pretty awesome to handle my brand of crazy. 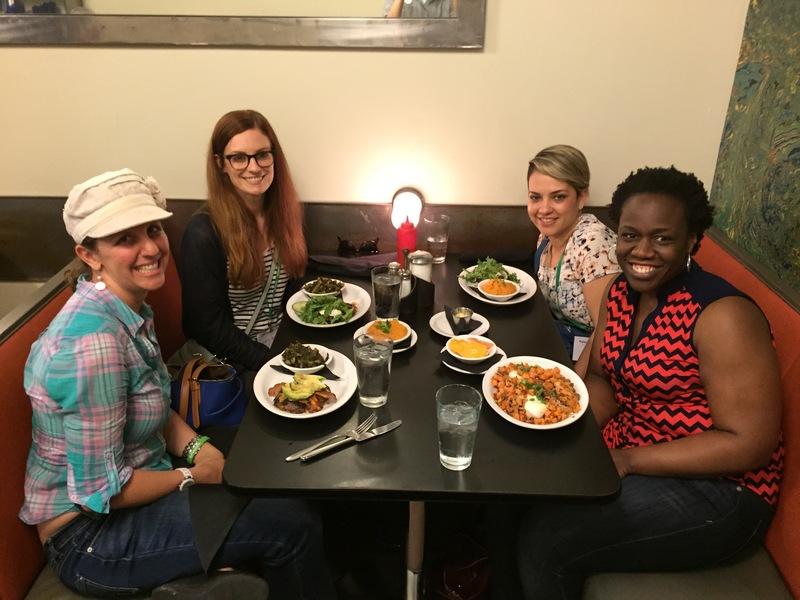 Jess introduced me to two more bloggers, Emily Butler, an Australian native now living in New York and blogging at the Lazy Paleo and Katy, the blogger behind Katy Health Coach. 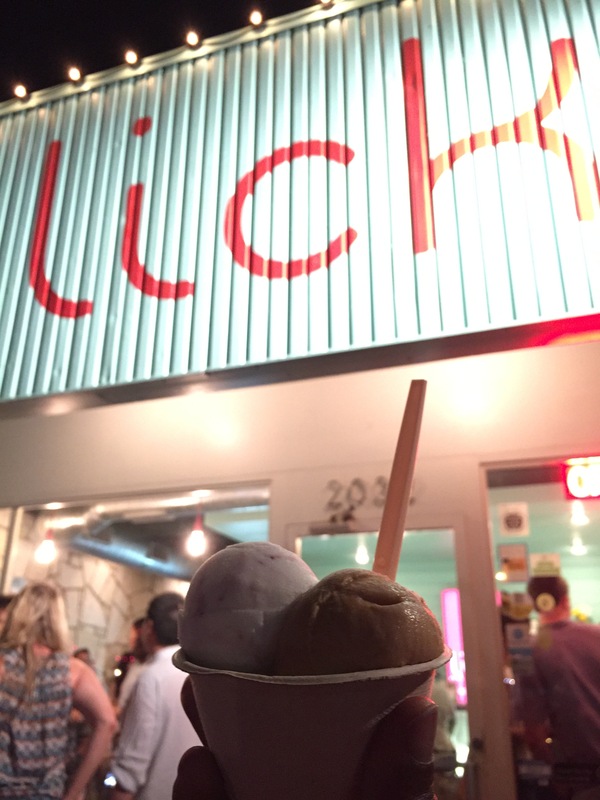 A trip to Austin isn’t complete without a trip to Lick, a South Austin ice cream shop that sells amazing ice cream made from local grass-fed dairy and local ingredients. The ice cream is out of this world, and the long line is totally worth it. 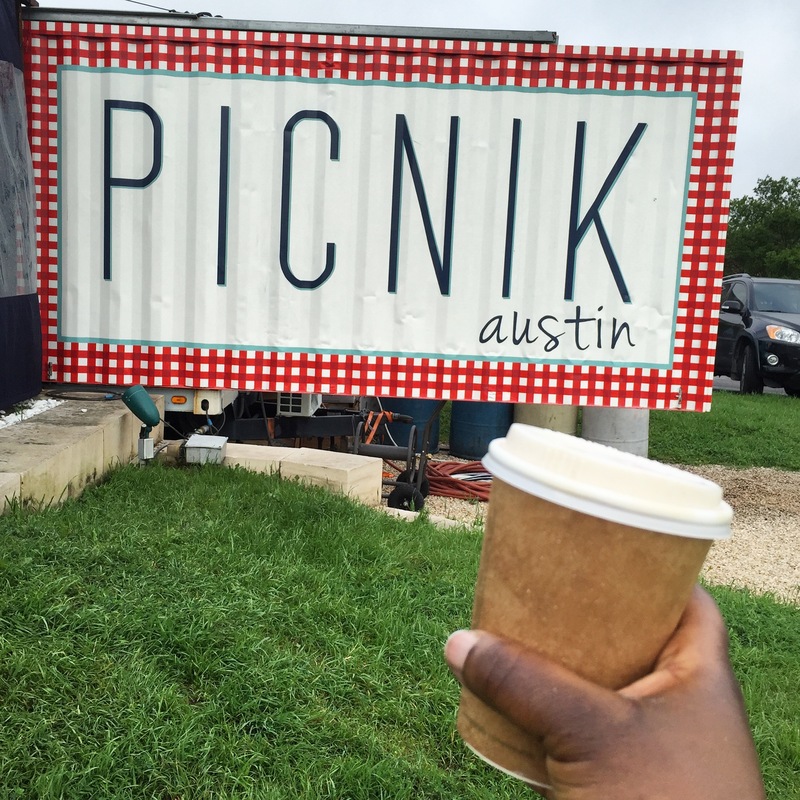 I also swung by Picnik, Austin’s first Paleo Cafe! They sell goodies like butter coffees, bone broth, grab-and-go healthy lunches, and gluten-free and grain-free Paleo friendly treats. I lived in Austin while attending grad school several years ago, and stayed with several friends who still live there. 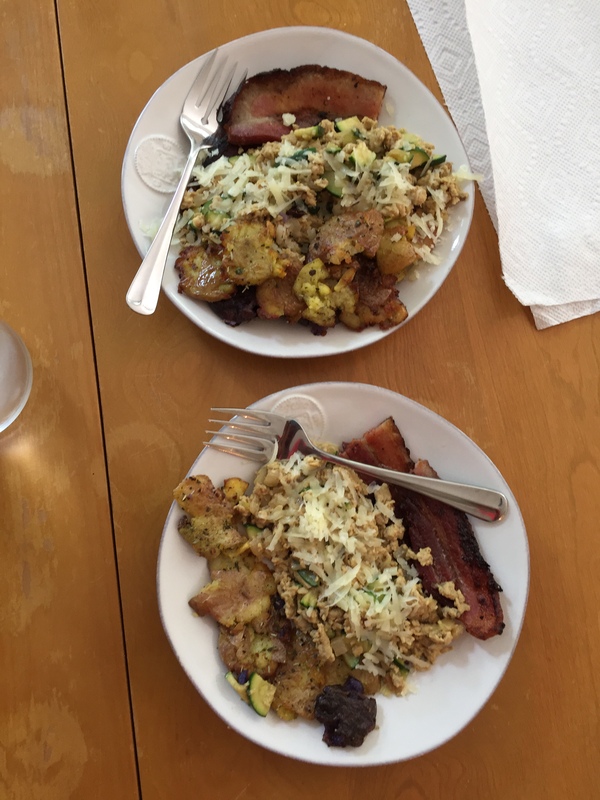 I even managed to cook one meal during that weekend for my friend Allen, smashed baby new potatoes, bacon and eggs scrambled with zucchini and onion and topped with Manchego cheese. Allen gave the meal raved reviews, and swore up and down he liked his bacon crispy and burnt (I think Allen was pretty hungry, since he hadn’t eaten all morning, but I’m going to take his word on that 😉 ). I had so much fun at this year’s Paleo f(x), that I have already signed up for Paleo f(x) 2016. I know it’s going to be bigger and better, and I can’t wait to see what the organizers have in store for attendees. Will definitely visit Lick the next time I visit Austin. I’m so happy you could attend Paleo f(x)! I’ve wanted to go for the last two years but didn’t get the chance to. Mark Sisson is a real hero!